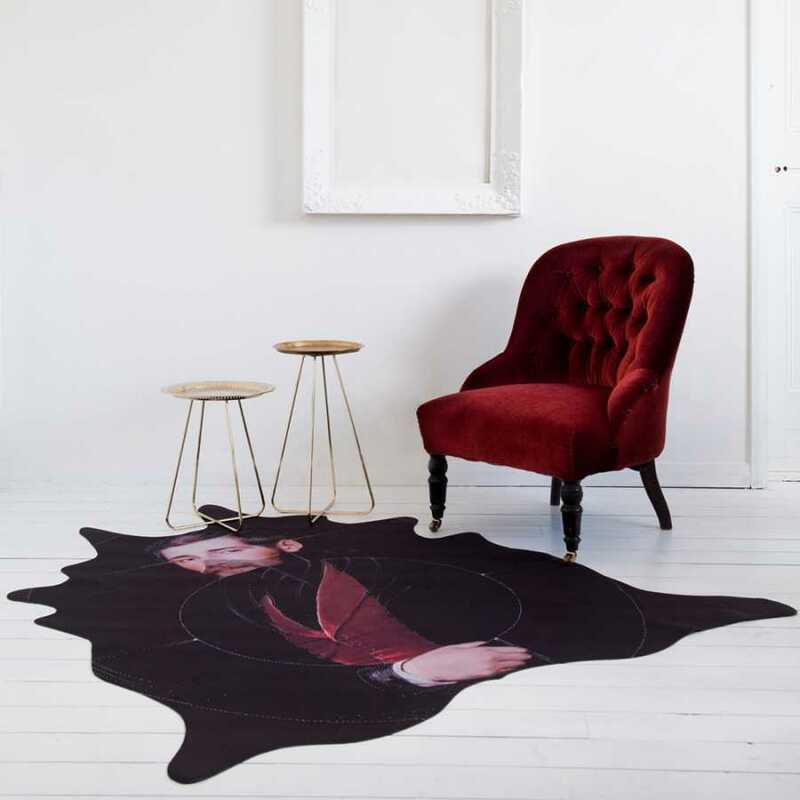 Created in collaboration between the innovative minds at Mineheart and post-modernist artist Joao Figuieredo, the Albert Cowhide Rug is part of a much larger collection of original and stylish rugs which manage to deftly balance modernity and tradition. The playful style that Joao Figuieredo brings to the piece gives a traditional fine art portrait a push into the 21st century. The Albert Cowhide Rug by Mineheart features a stately gentleman who has been altered somewhat by Joao Figuieredo and his stylish take on traditional portraits which involves taking something away from them. 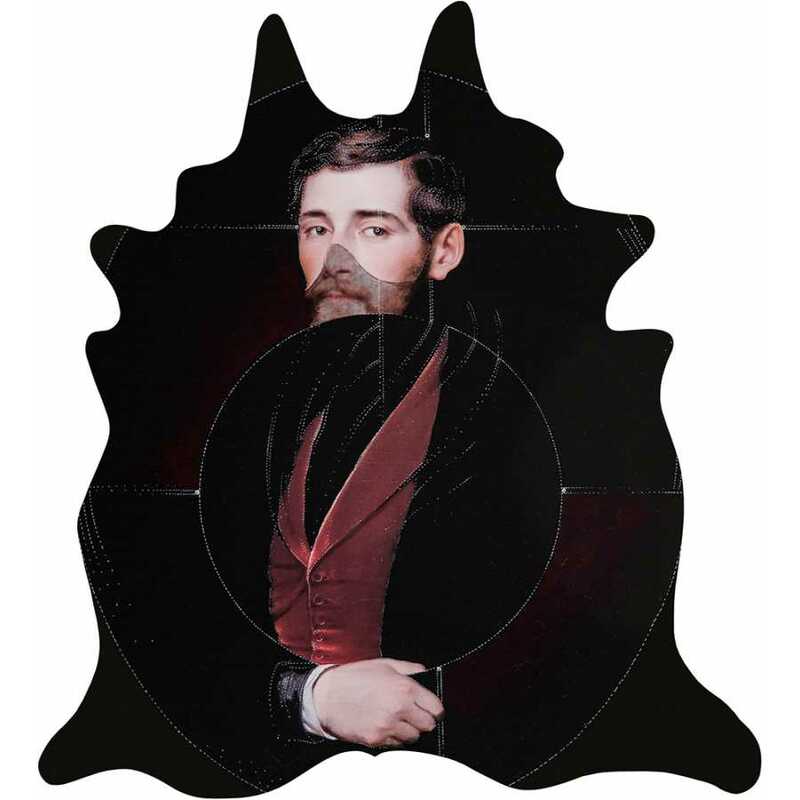 The Albert Rug has an almost target-style appearance and it is almost entirely in black with coloured prints and the modern design has been cleverly printed onto the rug using digital methods. The rug is rubbed-backed and is made from a hard wearing, washable fabric. Each rug measures 165.3cm x 150cm and adds a mischievously surreal element to any space. Whilst we don’t know anything about the Albert he has a haunting appearance which adds intrigue and interest to the home. For more information about the designers behind this piece and to discover the rest of their range please visit our dedicated Mineheart brand page.